A big part of our philanthropy, Breast Cancer Education and Awareness, thus far has been ribbon passing and shower card information on campus and around the community to help spread the importance of breast cancer awareness and education during our Think Pink week. We hold one major philanthropy event each semester. In the fall we held our first ever Survivor Fashion Show, where breast cancer survivors and their families were able to celebrate their good health. In the spring we host our annual Striking Out Cancer tournament where clubs and organizations on campus make teams and play for a cure. 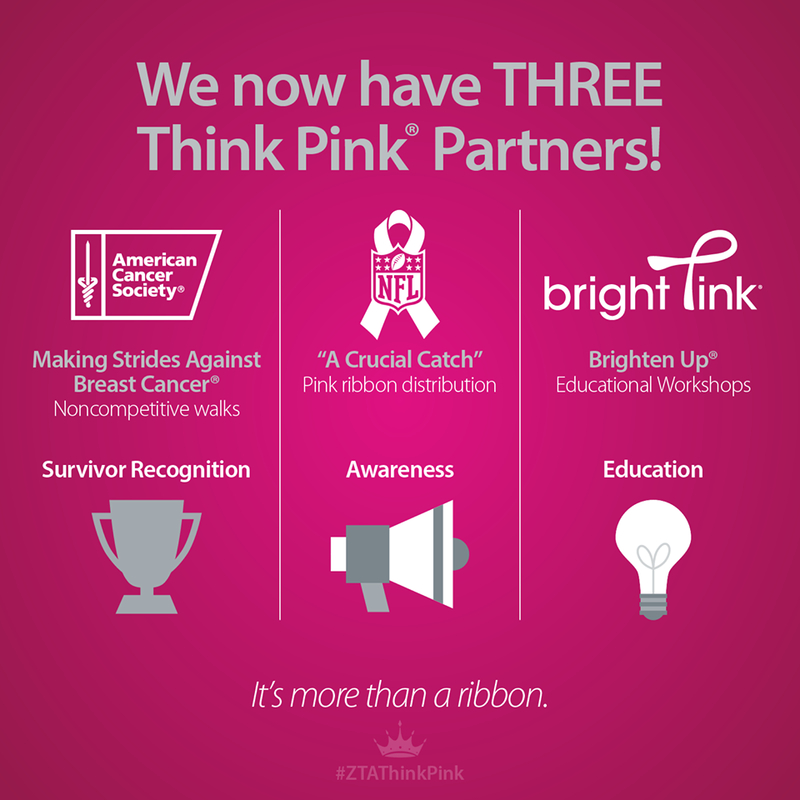 During the year of 2015 the Zeta Tau Alpha foundation officially announced three amazing partnerships with us which include: the American Cancer Society, NFL, and Bright Pink! This fall we will start including more from these organizations and we can wait to start officially working with them in the fall, THINK PINK!